DCAA compliance is integrated into accounting system software to ensure that the estimating, tracking, costing, and billing of projects easy and manageableâ€”simplifying cost control and planning. This type of software includes Quickbooks. One time setup and simple one button click to process allocations. 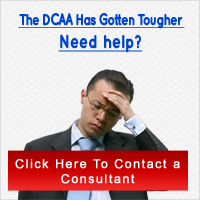 Tags: dcaa software Did you enjoy this article? Share it!